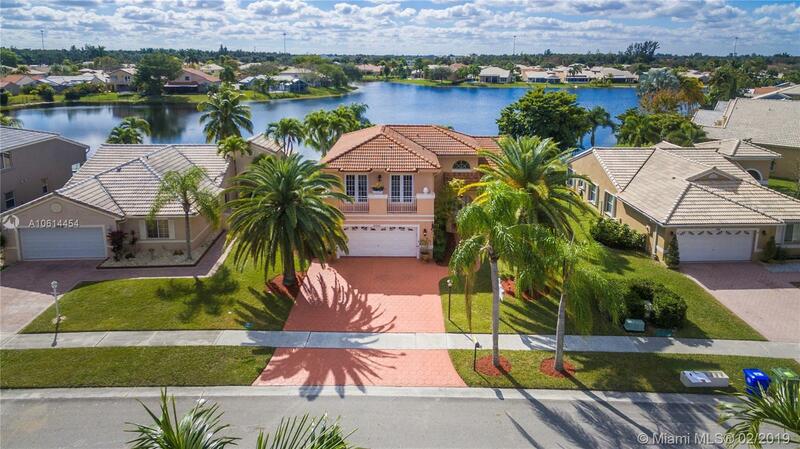 Perfect lakefront home with pool located in Chapel Oaks in Pembroke Pines. This property is a 3 bedroom, 2.5 bath home that can easily be converted into a 4 bedroom if needed, master bedroom is located on the first floor. This home features a 2 car garage, new tile floors, new kitchen with granite counter tops and stainless steel appliances, master walk in closets, beautiful landscaping, pool with covered screen and stunning lake views. HOA offers free cable and wifi along with access to private pool, parks and much more.